In Florida State cosmopolitan Miami city discovered in Southeast coast. Miami is a famous port city with a significant quantity of people. According to the United States, it is a fourth largest urban area with the community of 5.5 million. Miami is a significant leader in international trade, finance, media, and entertainment. Miami is one the best tourist spot and home to several beaches, theaters, parks, and museums. Each year number of visitor visit Miami. Orlando is also a well-known city of Florida also noted as Orlando Beach. Both Orlando and Miami are worth viewing cities to search on vacation with family and friends. You can find many things to enjoy for any age group. Always make sure to work ahead of time on how to move economically among both of the city. Go Florida Shuttle is one of the excellent options to travel with ease and comfort between Orlando to Miami 7 days a week. We are allowing ground transportation services in 40+ cities of Florida throughout the most generally used highways i-75 and i-95. Trips like: Orlando to Miami, Orlando to Miami airport/seaport, and Orlando to many other cities we serve are the commonly used routes by a significant number of tourists and Florida homeowners. Utilizing a shuttle bus service is the most affordable and satisfying way to travel within the state. We give Private transfers for the convenience of our travelers throughout the country. Orlando to Miami shuttle Bus is an excellent and cheap way to travel anywhere in the state of Florida. As we explained above, the best ground transportation Go Florida Shuttle is a cost-effective, secure and speedy way to move within Florida state. Our ultimate purpose is to give the best and easiest way to travel to your wanted address in the timely fashion. A recommendation is to call ahead of time to check the space and availability to be safe from the last minute booking hazard especially when during a high season, we might be running out of seats. Apart from share shuttle, we provide private shuttle service that is very reliable and comfortable service for you. We pick you up at your appropriate time and address accordingly. Do not worry about that where to start your tour, reserve our door to door shuttle service and let us get you to your address in Miami. 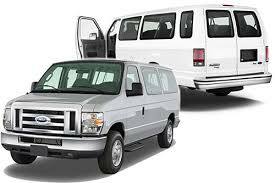 Book with us and enjoy low rates with the spacious Go Florida shuttle van.